The government was hoping to present the budget in the first week of March and the focus areas will be education, health and transport, a senior government official said. 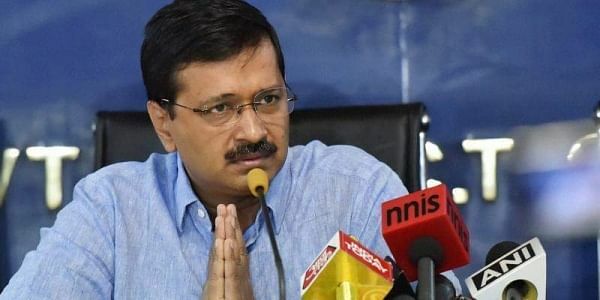 NEW DELHI: Delhi Chief Minister Arvind Kejriwal today met with education department officials to review its expenditures, indicative of the fact that the government had started preparing for the 2018-19 budget. The meeting went on for one-and-a-half hours and the requirements of the department in the next financial year was discussed, the official said. Education Minister Manish Sisodia was present in the meeting along with other officials of his department. "Education is the focus area of the government. The chief minister asked the officials to provide category-wise estimates for the department," the official added. Kejriwal took stock of areas which are in need of funds and of those where funds could be reduced, he added. The exercise for reviewing expenditures would continue for a week with Kejriwal likely to hold meetings with other departments. Tomorrow, a review meeting of the health department is scheduled. The education and the health sectors are likely to get a major chunk of the budget, like previous years. In the budget of 2017-18, the education sector got 24 per cent of the total outlay with an allocation of Rs 11,300 crore, while the health sector got Rs 5,736 crore. The government had announced last week that it would start a three-day department-wise discussion from February 7 on the achievement of the goal-oriented 'Outcome Budget 2017-18' . All the departments were instructed to provide details of achievements in the third quarter of the outcome budget.